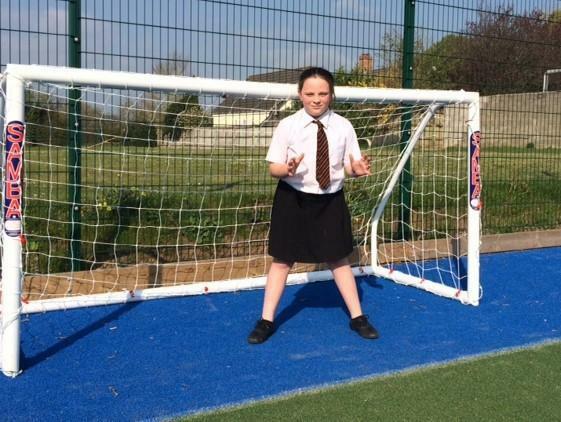 A massive thank you from the school council and pupils at Hugh Sexey to Maddie who entered a writing competition about electrical safety and suggested using her prize money to buy mini goals for the multi use games active play area. The year 6 goal stopper has already seen the benefit of this welcome addition to the facility. Thanks Maddie.